I love dipped pretzels. We make them every Christmas treats, either to give away to friends or eat before we have a chance to give them away. 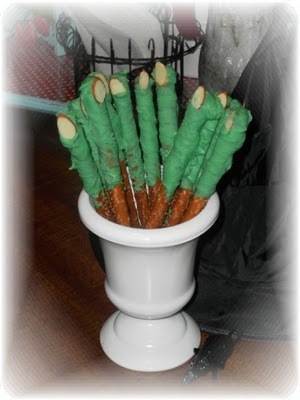 There are way too many cute Halloween pretzel ideas to be keeping the dipped pretzel rods for Christmas. 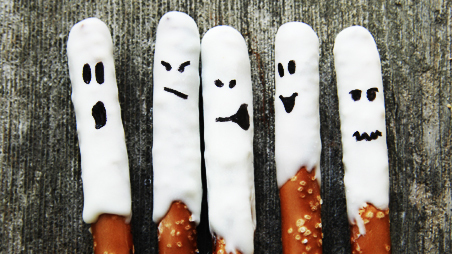 These cute pretzel ghosts from Savory Sweet Life couldn't be easier, and what isn't to love about chocolate and pretzels? 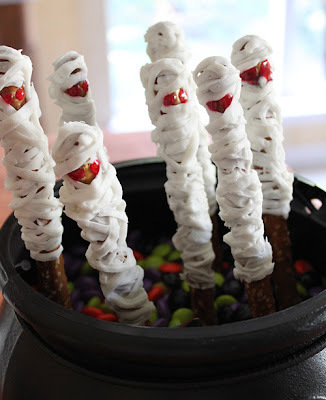 But if you could dip them in all sorts of fun things like caramel before doing the final white chocolate dip. 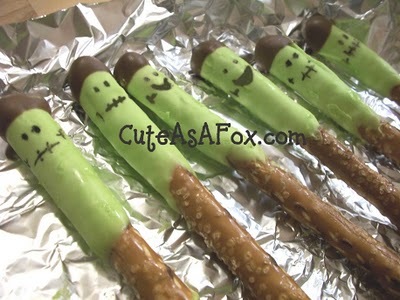 I love these cute Frankenstein pretzels from Cute as a Fox. I think I have shared them three times on this blog already! 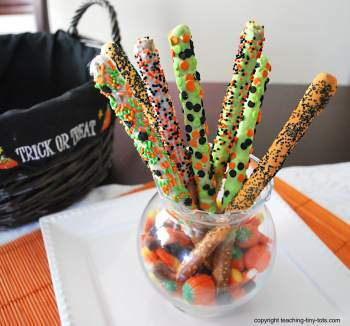 If you are looking for something a little spookier, witch finger pretzelss from Shop Sensibly should to the trick. Living Locurto made mummy pretzels for her Halloween buffet.